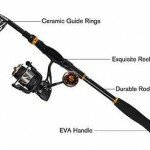 If you are looking for a best spinning rod and are not really sure of what you want, then look no further. 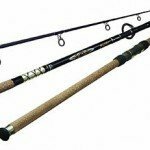 Take a while and read on to get a comprehensive idea about which spinning rod best suits your needs. Spinning rods in the fishing industry are known for their light tackle and light line. The effortless way the line is cast off allows the user an easy, tangle-free and efficient casting experience. Spinning rods are mostly used to lure in lightweight fishes as opposed to the heavier capacity of cast rods. Fishing Line Pound Test:	6 - 14 lbs. Fishing Line Pound Test:	8-14 lbs. Fishing Line Pound Test:	15 - 30 lbs. Material: Made of Glass blank material, EVA foam handle, Ceramic guides and graphite reel seat. However, that would not mean that the spinning rods are limited in their functions to only light weight applications. Though primarily restricted to fresh water fishing, spinning rods are now built for salt water use too. These rods are a tad thicker and stronger than their freshwater counterparts, so, it is up to you to seek out your best bet at fishing as per your requirements. The KastKing BlackHawk rod is well suited for you if you wish to combine the efficiency of a telescopic rod and the functioning of a best spinning rod. Composed of high-density carbon fiber, the rod is available in a variety of size. This allows you never to be restricted to fishing only a certain type of fish. It is a common knowledge that fishing rods always come into contact with water. This rod gets a point right for having a non-corrosive aluminum reel that is extremely durable. The stainless steel guides reinforced over 3 points along with the ceramic inserts add an overall durability to the rod. Multiple steel guides also mean that you have the uninhibited freedom to choose between mono or braided fishing line. Apart from the reel, the guides and even the entire rod body is corrosion resistant, this allows you to effortlessly choose between fishing at sea or in the river. All you have to do after a day at the sea is to wash the rod properly to ensure that no sand particles are deposited around the joints. When compared to its competitors, the BlackHawk is way lighter and compact which makes it easier to carry around or store. The telescopic nature of the rod also means that you do not have to worry about the smaller parts getting misplaced. The rod is also compatible with a wide variety of spinning reels, and you could try out a few to see which suits you the most. However, if you wish to experiment about with the type of fishing, use a shorter variant of the rod. This would allow you to swing the rod about more effortlessly. The best part of using the rod is you can even try out some bait caster reels on the rod and have all this at the cost of spinning rod. The design of the fishing pole and the construction of the rod give the KastKing BlackHawk a premium feel and its durability and efficiency are safe to bet for when it comes to catching fishes. These rods are composed of a combination of fiberglass and graphite and are extremely durable at their price. The traditional Ugly Stik was designed to cater to the low budget customers, giving them a durable and sensitive rod at the lowest possible cost. The resultant rod available in a variant of one or two pieces is impressive. Fast in terms of action, a variety of good quality hook sets and adequate sensitivity- all lend credit to the fact that the Ugly Stick Elite is a rod par comparison. However, though the rod may be more durable and sensitive than traditional spinning rods, it is not comparable to a graphite rod under these headings. The most popular variant of the Ugly Stik Elite is the 5’6” length of the rod. This one, unlike a telescopic rod, is built in one immovable piece. While this does not exactly make the rod extremely compact, it does lend a sturdy feel to the product. There are no questions about the quality of course. Shakespeare uses top quality materials that deliver extremely well even on a low budget. Clearly, the rods are more than what they look (in a good way obviously). Another added feature in this quality product is the Clear Tip. The Clear tip offers you more strength in terms of rod strain, drags currents, making it extra sensitive to the lightest of bites. While it may not appeal very much to the professional user, the rods adaptable user interface and ease of use make it a hit among children. That being said, as far as durability goes, this rod could give its competitors a serious run for their money. 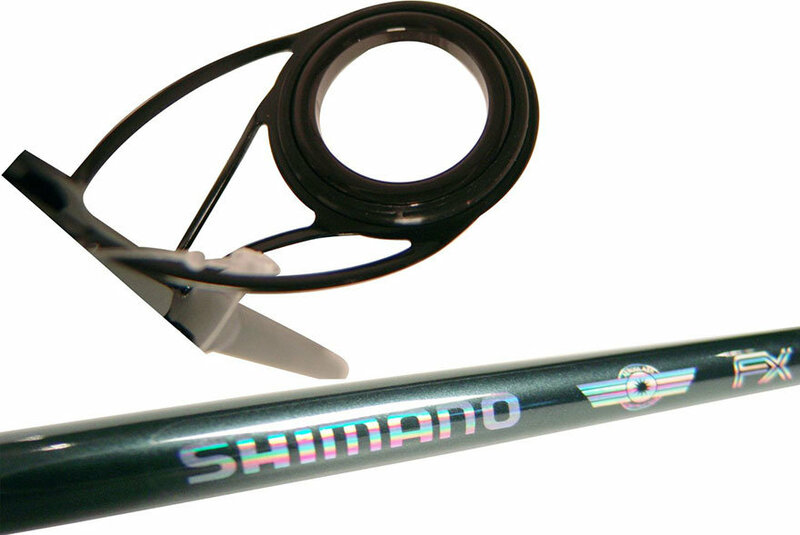 Composed of an aeroglass blank, the Shimano FXS 2 is extremely sensitive and strong. The aeroglass offers great balance especially when used to catch larger fishes like trouts. For beginners, this rod may be a tad too sensitive. However, the rod material allows a superior balance which ensures that you don’t face any discomfort while using it. The graphite reel seat along with the reel is designed in such a manner that it takes off some of the weight of the rod, thereby allowing you to use it for longer hours without muscle pain. The two-piece design of the rod allows you to carry it around quite easily. The anti-corrosive tip ensures that you don’t need to paint or varnish your fishing rod for days to come. The most distinguishing feature of the Shimano FXS 2 has got to be the 6 aluminum stainless steel frames that not only lend a premium feel about the rod but also prevents line wear. These frames also allow the line to move along smoothly while in use. Personally, I would certainly recommend the fishing rod for a variety of reasons. For beginners, this is a low-cost option that they can take out at sea to try or cast in freshwater ponds with equal ease. 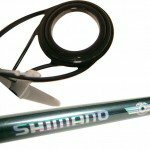 For the professional, the Shimano FXS 2 acts as a handy backup rod they might need in case the primary rod breaks. Do note though that the rod strength of this rod is extremely limited and if tried on a bigger game, it is bound to break. The Abu Garcia Veritas 2.0 is as premium as you could get when it comes to best spinning rods. Extremely lightweight and balanced, the Veritas 2.0 increases uses their trademark- Spiral Carbon Core Construction to obtain an insane amount of strength. 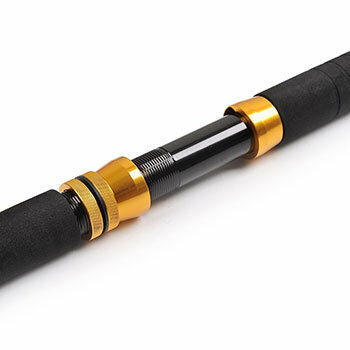 The rod is also equipped with a host of features including the micro click reel hood which allows you to establish a firm connection between the reel and the rod. The tip is extremely sensitive and the stronger middle section of the rod allows to fish for larger game. Even the titanium allow guides and the zirconium inserts are designed to handle that wee bit of extra load, should you be in the mood to catch bass or trout. The Abu Garcia Veritas 2.0 opens up endless possibilities for the true enthusiast. It seeks to bridge the great divide between the lower budget rod and the high premium rod. Even though it is made of titanium, it remains sensitive to the lightest of touch. There is a host of other user-friendly features that assist you when you fish. For instance, the titanium allows that the rod body is made of provides an optimum center of gravity. Also, the micro click reel gives an audible click when tightening your reel down. Available to users in two variants of one or two piece construction, this fishing rod is fitted with premium EVA foam grip that provides comfort and durability. The Veritas 2.0 is more than capable to deliver over a wide range of fine applications without breaking a sweat. If that isn’t cool, I don’t know what is. Fun fact: did you know Veritas in the rod’s name translates to ‘truth’ in Latin, thereby symbolizing the dedication and faith the makers put in the rod? Investing in a fishing rod is always a tricky ordeal as they never tend to come cheap. Detachable into three parts, the Okuma’s Solaris is a premium piece of fishing gear that you are sure to fall in love with. The rod is made of IM-6 graphite that allows it to stand out in the crowd and makes it a hot favorite among professional users all around the world. However, the Okuma’s Solaris is built to please everyone, even the beginners. The highlights of the product are the aluminum oxide guide inserts that efficiently support the fishing line and therefore evenly distributes the tension. The rod is among the best spinning rods under 100 that you can invest in both in terms of looks and performance. Apart from a stylish compact design, the Okuma’s Solaris has quite a few useful features up its sleeve that are sure to please even the most fidgety of users. The cork wrapped rear grip ensures that you have a strong grip on the rod and leaves nothing to the chance. The soft touch EVA cushions allow a premium touch and feel so you can have long hours of fishing without damaging the palms of your hands. The even distribution of the line tension also means that you would be able to fish in both fresh and salt water and also could try to catch larger fishes. So what exactly separates the Okuma’s Solaris from all the other fishing rods? Quite simply put, this fishing rod in the framework of a traditional spinning rod provides an exceptionally durable and top quality components. 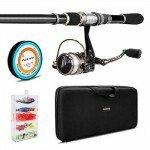 Add to that, the unmatched performance, and that’s all under the price banner of a budget fishing rod. You can never really go wrong by investing in this product. After all, Okuma has always striven for inspired fishing, and this variant is no exception to that. The first reaction that I had on laying my eyes upon the Fiblink 2-Piece Conventional Boat Fishing Rod is ‘Wow!’. The rod has got looks to kill for, courtesy the smooth but tough, solid glass fiber amalgamated construction. Made from enhanced graphite, the rod inculcates all the base properties of the metal and expands upon them exponentially. Needless to say, the rod is thus robust, flexible and versatile. The reel seat is made up of an aluminum alloy material which, along with the aluminum hood, is a non-corrosive material that does not allow the parts to come to rust. On first holding the fishing rod, I found it to be extremely heavy. 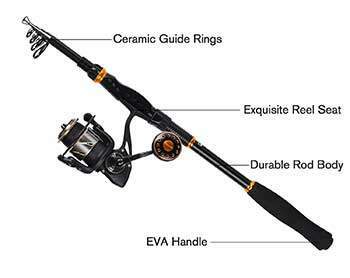 Weighing more than two pounds, the rod is not among the lightest variants you will find around. However, that does not mean that you would not be able to this rod for extended periods of time. The EVA padding is extremely durable and comfortable and thus, lends a premium feel to the fishing rod. 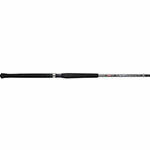 Where the fishing rod differs from other spinning rods is that while most spinning rods cater to the fresh water fishing, the Fiblink Saltwater Offshore Extra Heavy 2-Piece is made especially for the saltwater enthusiasts. This means the power of the rod to take up loads without breaking is far greater than any of its competitors. The fishing rod can be hence easily used for freshwater fishing, even to the extent of catching large fishes like trouts. The compact design of the fishing rod is also bound to attract a lot of customers. The two-piece detachable design along with the carry bag is convenient for you if you are always on the go. The most distinctive feature about the Fenwick HMG Spinning Rods is the unique handle material that they use. This rods have handles made of a trademarked material known as TAC which is more durable than the traditionally used cork. TAC also accounts for a far better and stronger grip. The rod is a subtle and yet deft piece of workmanship. It incorporates materials radically different from what its competitors use, and this lends it a unique edge in an already crowded market segment. The rod body of the Fenwick HMG is made up of carbon bound rod blanks which are spiraled with carbon threads. This creates an almost unequaled durability in terms of strength and yet is light to wield. The Fenwick HMG uses guides made of titanium that are extremely tough and can bear a substantial amount of stress. 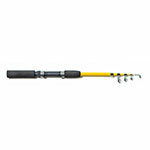 The best part about this spinning rod is that it is available in a number of sizes depending on your fishing needs. So, whether it is bass fishing or spinner baits, you are always good to go. A few standard features that permeate all variants and are common to all HMG branded spinning rods are as follows: firstly, owing to the carbon handles, the rods are extremely sensitive and very strong. In this regard, the makers make no exception opting for the best of components so that you may have a trouble free fishing experience. Secondly, the trademark TAC non-slip handles that ensure you never drop your rod in a fish-fight. Thirdly, the titanium guides which greatly reduce the tension on the line and provide unmatched support to the line and helps the reel to operate smoothly. Lastly, the Fuji reel seats, these reel seats are another unique addition to the HMG armory and helps increase the longevity of the line. It sells high on the fact that it is extremely compact and thus, extremely easy to carry. Measuring only around 17 inches when completely folded, the rod belongs to a segment aimed at taking your play on the go. The fishing rod body is made of a blank glass material designed to perform perfectly even in the toughest of circumstances. 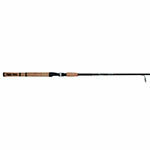 The rod body is equipped with the optimum weight to fish in a variety of conditions. However, the sensitivity can at best be labeled as medium. The high accuracy in terms of casting makes the Eagle Claw Pack a very desirable product. In terms of features, the spinning rod has double footed line guides that allow a firm anchoring so that it eases the tension of the line in itself. The guides are made of ceramic that allow the line to move through the loops smoothly. Using ceramic also has the additional advantage of no extra weight on the rod. As the material is ceramic, there is no tangible friction created in the line itself, and this helps in prolonging the lifespan of the line. On the comfort front, the Eagle Claw Pack uses the EVA foam as the handle material. Though a conventional material, it is tried and tested to ensure optimal comfort and durability. The foam grip is extremely comfortable, and you can spend long hours holding it or placing it in a rod holder. 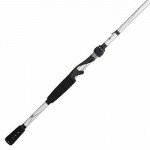 The telescopic design of the spinning rod allows it to be used as a suitable gear in various other forms of fishing as the length can be easily adjusted. It can also be easily customized with your favorite spinning reel. This means you can easily replace and change reels to match your needs and line requirements. All these make this rod one of the most potent and promising rods in the segment. The Plusinno looks more like a sniper rifle than a telescopic fishing rod, and this is quite unique to this model regarding looks. The rod is built of a blend of two materials- fiberglass and carbon fiber. These elements are used in such a manner that they maximize the strength of the rod and provide unmatched durability. The rod mainly made for saltwater fishing is entirely made of anti-corrosive materials which protect it against corrosion and chipping. On the comfort front, the Plusinno uses the premium EVA Fore Grip to ensure a comfortable and firm grip while fishing. The grip is detergent proof and can be easily cleaned using all variants of non-acidic detergents. The rod also can be attached to a rod holder when fishing for extended periods of time quite easily. The rod while working on the principles of a spinning rod can be used to catch larger game, unlike other rods. So, fishes like catfish, bass, and walleye and be easily caught using this rod. The handle can be adjusted to suit the needs of the user and can be extended to cast if required. The inserts are made up of an allow of aluminum oxide and they provide a smooth surface against which the fishing line runs. This smooth movement of the line, in turn, reduces the friction produced thus increasing the longevity of the line. 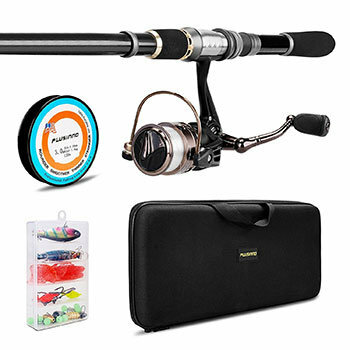 The kit which the fishing rod comes with ensures that you need not buy anything else once you have purchased the Plusinno kit. 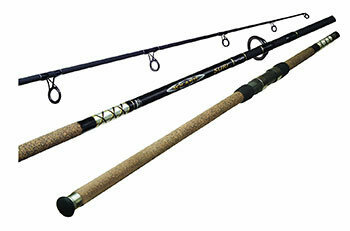 The rod, apart from fishing, can be used for a variety of other applications like angling. While the Berkley C-Series Crappie Pro may not be much of a looker in terms of fashion, it is by far the most proficient fishing rod in terms of technology. Indeed, all the major parts of the rod use tried and tested technologies to ensure that you have an unmatched experience while using it. The body of the rod is made of 24-ton carbon fiber blank which allows the rod to be extremely light and yet very durable. The tip of the rod, also made of carbon fiber is highly sensitive and can react even to the smallest of nibbles on the bait. As opposed to the commonly used EVA foam, the Berkley C-Series Crappie Pro uses an EVA Power Grip. It provides a much superior and ergonomically designed grip for better control on the user’s hand. The insert guides of the rod are made up of an alloy of titanium oxide which reduces the tension on the fishing line. In turn, it increases the longevity of the line. The extremely minimal and yet efficient design of the rod is evident with the rear bell. The rod has a nice bell shaped rear handle that makes it easier to be put in a holder during long fishing sessions. While this rod does get a lot of things right, strength is still a matter of concern. 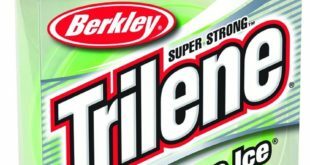 Most competing products are capable of fishing larger fishes like bass and trouts while the Berkley C-Series is restricted to only smaller freshwater fishes. Even the rod is not adjustable, and the reel seat is nonattachable, thus restricting your options of a reel to only the one given with the rod. Make no mistake, personally speaking, within its boundaries, the Berkley C-Series is a great fishing rod to use. Both the casting rod and the spinning rod are extensively used for fishing. Each has unique advantages of their own and it is up to you to find out whether they suit your needs. Casting rods quite typically have longer rods than their spinning counterparts and are equipped with heavier lines. This is quite ideal if you wish to fish for heavier fishes like bass or if long distance fishing is your thing. The line of the casting rod, true to its name, goes forth with unmatched accuracy. The durability of the line reduces the need to frequently replace it. The spinning rods have quite a few advantages when compared to the casting rods. The spooling system is designed in such a manner that unlike the casting rod, there are lesser chances of the line being tangled. 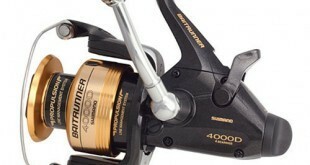 Also, the larger spool size of the rod ensures a faster reel time. The conventional fishing rod has evolved over the years. Initially they used to be made from traditional natural materials like sticks, bamboos, cane poles and other types of locally available materials. Today manufacturers use steel, fiberglass, graphite, boron and even carbon. Reel Weight – The reel weight is quite instrumental in contributing to the overall weight of the fishing rod. Reel weight could depend on a lot of things including the materials used and the features that tag along with the rod. While heavier reels are not bad, it may exert a fair amount of pressure on your hand, especially if you go on to fishing for long hours. 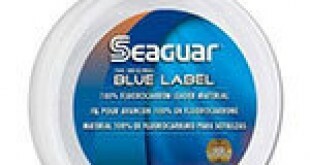 Spare Spools – Reels below the 100 dollars price tag don’t usually come with spare spools unlike the pricier variants. Here’s a hack – if you buy offline, try bargaining for an extra spool, who knows you might just get lucky. The standard spools tend to be braid-ready, and this is important especially if bass fishing is what you are aiming for. Rod Material- Traditionally, fiberglass has been the most preferred material ever since it came into the market around the 1950s. However, while the fiberglass has been noted for being tough, it does lack the sensitivity of the newer graphite rods. The fiberglass might be a very good choice when used by children as they are extremely durable. It is extremely important to look over the material as it affects greatly on the requisite customer function. Power – The power of a spinning rod refers to the ability of a rod to be able to take up load without breaking up. The other factors which influence this are things like material and thickness of the rod, power ratings, and rod thickness. The power of a rod is directly related to the line strength. It is easy to get confused with all the power ratings, action and the various factors. So, just keep your priorities clear about the type of fishing that you would want to and decide accordingly. Line Guides – The line guides are small circular loops attached to the rod and running along the entire length of the rod. The loops keep the line from touching the rod and thus, allow a smooth interface for the line to pass over. The most recent of line guides are made from titanium wires that make them near unbreakable even if the rods themselves bend over. Titanium allows lesser friction which, in turn, means that your line lasts longer and handles stress better. Subject to the model you choose from, you may have an option of choosing between two types of lines – single foot lines and double foot lines. The double foot lines may be low on sensitivity but are immensely helpful in catching a larger game. The spinning rods are light, and this means they can throw the light fish baits further into the waters. The spinning rod is hard to beat when it comes to distance throwing. And this does not hold for light fishing only. Even in the pro bass fishing arena, spinning rods are preferred over their heavier variants. Ever heard of the pendulum effect? The spinning rod has the advantage to allow the bait to sink as straight as possible without the ensuring “pendulum effect” from the spool which continuously rotates. Since it sinks in straighter, there is lesser resistance to fight against when drawing the spool back. In a spinning rod, the reel handle can be swapped and adjusted whether you’re left-handed or right. In the case of other fishing rods like bait casters, you would need to buy a dedicated model based on your hand preference, and you are stuck with that. Imagine getting into a nasty fight with your newly caught fish. It would certainly help to ensure that all the luck favors you and by using a spinning top you can ensure that the drag can be adjusted as per your needs. The fully liberated spinning reel efficiently allows you to control the reel and this allows you to have a more profound experience fishing. Spinning rods allow you a higher efficiency in windy conditions, swappable reel handles, better drag system, further casts, and straighter bait falls. Why wouldn’t you want to use them? A spinning rod, when fishing, is an extension of your arm. Therefore, it is extremely important that it is you who has the final say while choosing your fishing rod. While this article does provide broad frameworks and suggestions as to what you should look for in your rods, the final decision is yours. Spinning rods do not necessarily follow the age-old capitalist dictum of ‘what you get is what you pay for’. Therefore, search hard until you find that perfect piece of gear that will help you conquer the waters. Happy fishing! Fishing companies are more dedicated and also has more devoted teams of designers, engineers and professionals. Those strive to come up with sophisticated and advanced fishing gears. However the fact is, more your gear is innovative more its price will be.